What to do in case of ash fall? The Poás volcano presented episodes of eruptions and incandescence in the early hours of this Monday morning. 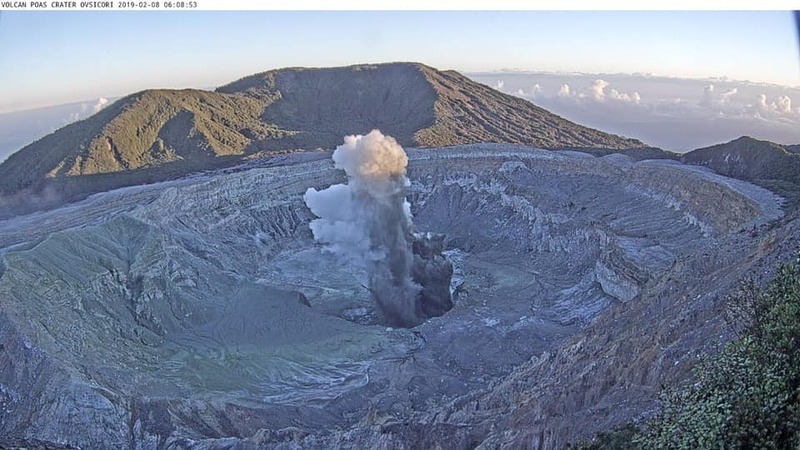 Experts of the Observatorio Vulcanológico y Sismológico de Costa Rica (Ovsicori) informed through Facebook that this effect was recorded from 1:51 am. 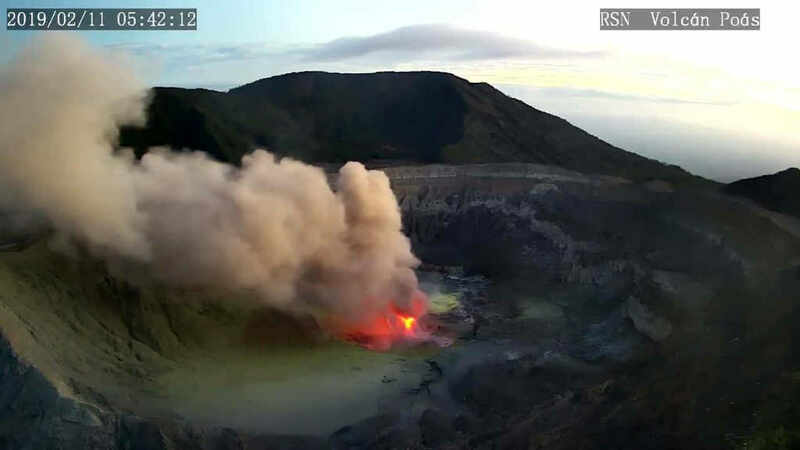 The colossus keeps emanating ash and at this time the incandescence can still be seen through the security cameras of the Ovsicori, located in the vicinity of the crater. Incandescence occurs when the material released by the volcano is capable of reaching temperatures of up to 700 degrees Celsius. 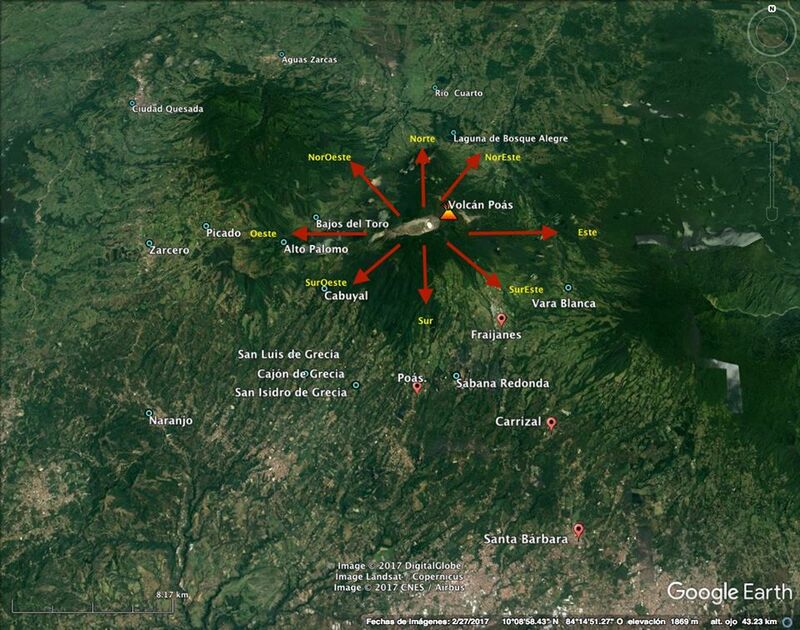 The Poás Volcano, (Spanish: Volcán Poás), located in the province of Alajuela (a stone’s through from San Jose International airport), is an active 2,708-metre (8,885 ft) stratovolcano. It has erupted 40 times since 1828, including April 2017 when visitors and residents were evacuated, forcing the closure of the national park for nearly 17 months. As of September 1, 2018 the park has reopened with limited access only to the crater observation area and requires a reservation to visit. Adjacent trails to Lake Botos as well as the museum at the visitor center remained closed. 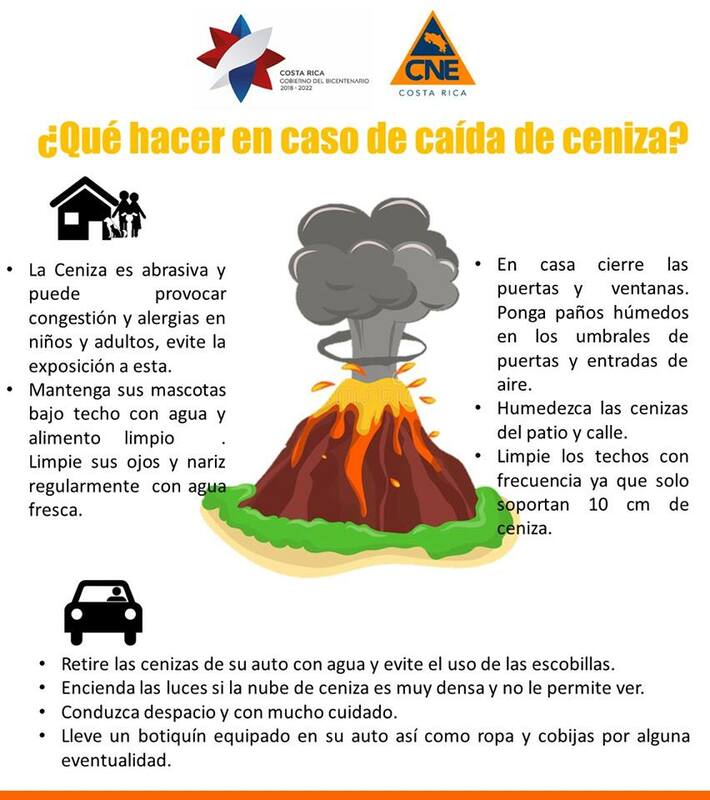 The Ovsicori also published an infograph on ‘What to do in case of ash fall’.